Giusto un paio di giorni fa mi ritrovavo a parlare con il nostro Riccardo Ravasini sulla situzione immobiliare di Manhattan e di New York in generale. Si discuteva in particolare dei dati del primo mese lavorativo del 2011, e Riccardo sosteneva che la situazione climatica che si viveva in quei giorni non aiutava: il gelo e il freddo avevano paralizzato l’attività. Oggi leggo, a conforto della tesi del nostro collega che opera oltreoceano, un articolo del Wall Street Journal. In questo pezzo, oltre al problema climatico, si sommavano altre riflessioni: una su tutte che il pagamento dei bonus dell’anno precedente ai banchieri e ai manager avviene proprio in queste settimane. Sembra sia questo mix di fattori che ha determinato una settimana record per le vendite top di New York. Gli agenti immobiliari nutrono un cauto ottimismo, non soltanto legato ai risultati di una settimana. Certo 31 vendite oltre i 4milioni di dollari sottoscritti in sette giorni di calendario, ovvero nella settimana che si è chiusa domenica 13 febbraio, riportano ai periodi d’oro pre-Lehman Brothers, dove la settimana migliore si era chiusa con 27 vendite top. Altri segnali incoraggiano gli analisti. Forse il più importante è il dato sulla ripresa di Wall Street, che torna a varcare la soglia dei 12mila punti, cosa che non accadeva appunto dai tempi precedenti al crac. Inoltre i prezzi durante questa settimana sono stati trattati in sede di acquisto solo del 4%, e gli immobili venduti erano sul mercato da non più di 90 giorni. Il prezzo medio di compravendita è stato 6.7milioni di dollari e la vendita più alta è stata fatta con un appartamento nel condominio di lusso Beresford dalla Halstead Property di Patrycia Harbison per la cifra di 16.5milioni. A Warm-Up in Luxury Real Estate? It’s never a good idea to make too much of one week’s real estate sales activity, and most brokers already tend to view their market’s glass as half full. But news that the week ending Sunday was the biggest for contracts signed on luxury properties since the collapse of Lehman Brothers ought to at least raise the question: Could the New York residential market be experiencing a turning point in sales activity? “I think there’s a lot of optimism,” says Donna Olshan, head of the boutique brokerage firm Olshan Realty Inc., which compiled the data. She reports 31 contracts signed on properties with asking prices of $4 million or more in the week ending Feb. 13 — the highest weekly tally since Lehman went under in Sept. 2008. There are plenty of reasons to consider this a statistical fluke. The snow and cold weather could have postponed some signings until last week. Many Wall Street bonuses were paid in the first few weeks of the year, generating demand among wealthy bankers that’s unlikely to be repeated in the months ahead. And as Olshan points out, the previous post-Lehman weekly high was 27 contracts for luxury properties during the week ending Nov. 22, 2009. That proved to be an isolated surge in activity for what otherwise was a pretty grim year. But those looking to make something more of last week’s numbers have some grist for that mill. The Dow Jones Industrial Average achieved a post-Lehman high of its own, recently crossing back above 12000 for the first time since the financial crisis. There have also been signs of a sustainable economic recovery, albeit without much job creation. In New York, new residential inventory remains limited. The sales figures themselves also offer some reason for optimism. There haven’t been a whole lot of bidding wars, but Olshan says that the spread between a seller’s first asking price and their final asking price is narrowing — an indication that property owners are getting more realistic about what prices are appropriate in today’s market. According to Olshan, the spread differential was 18% in January and shrank to 11% during early February. In the last week of contracts signed, the differential was just 4%. “That 4% is nothing, it’s an insignificant difference from what sellers first asked,” Olshan says. The amount of time a property sits on the market may also be diminishing. Olshan said about half of the 31 properties that entered contract last week found a buyer in 90 days or fewer, down from the five-to-six month period that many of these high-end properties had experienced recently. 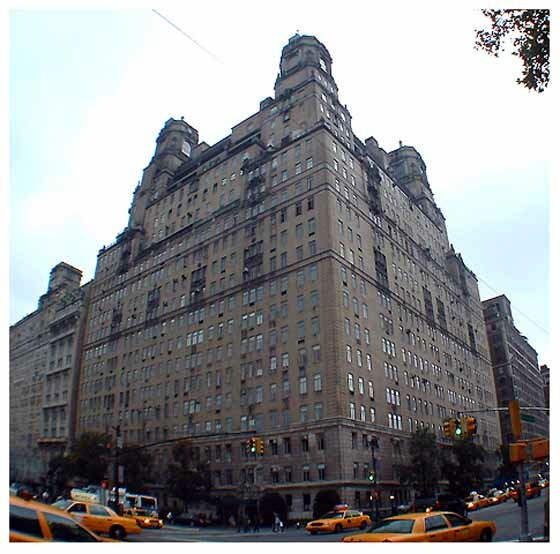 The total asking price for the 31 contracts was $207 million, with an average asking price of $6.7 million. The biggest contract signed during the week was for an apartment at the Beresford that had an asking price of $16.5 million. It was listed by Halstead Property’s Patrycia Harbison. Pubblicato il 15 febbraio 2011, in Real Estate con tag agenti immobiliari, Beresford, compravendite immobiliari, condominio, Halstead Property, Lehman Brothers, lusso, Manhattan, mercato immobiliare, New York City, Real Estate, Wall Street. Aggiungi il permalink ai segnalibri. 1 Commento.